We headed up, with the pilot telling us that the whales had just dived, meaning it could be up to fifteen minutes before they resurfaced. The over the radio we heard that an aftershock had just been recorded – it wasn’t clear what effect the earthquake and subsequent aftershocks had on whale activity. We spent thirty five minutes or so searching for a whale – but to no avail. It was beginning to look like we might be in the 5% of flights that didn’t see a whale. Eventually, the plane made a sudden left hand bank, he had spotted something! We were able to watch the whale for around ten minutes or so, with the pilot circling this way and that ensuring all passengers got a decent view. As we had now been out for longer than our allotted time, the “scenic” part of our flight was shorter than usual. 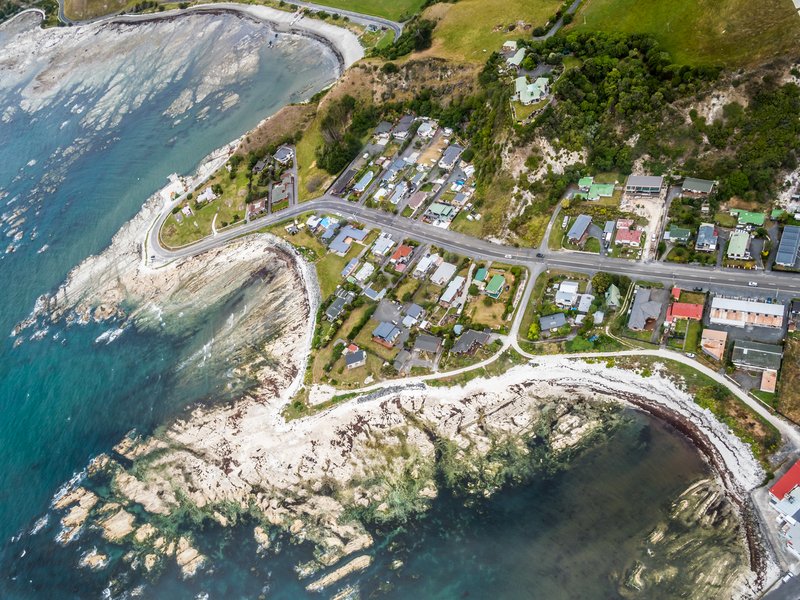 We headed back to the airstrip after a quick trip over the Kaikoura Peninsula. From the air we had an incredible view of the effect the November earthquake had had. The seabed had been raised by between one and three metres, leaving scars of white rock, now visible above the sea. We really enjoyed this trip and seeing whales from the air is a really great way to see just how large these creatures are. It’s a pretty unique viewpoint.